“Children who are poor have higher rates of hospital admissions, disability days, and death rates. They have inadequate access to preventive, curative, and emergency care and are affected more frequently by poor nutrition,” Dr. David Wood wrote in 2003 in Pediatrics, the official journal of the American Academy of Pediatrics. City Connects helps by connecting more children to more of the health services that already exist in their communities. 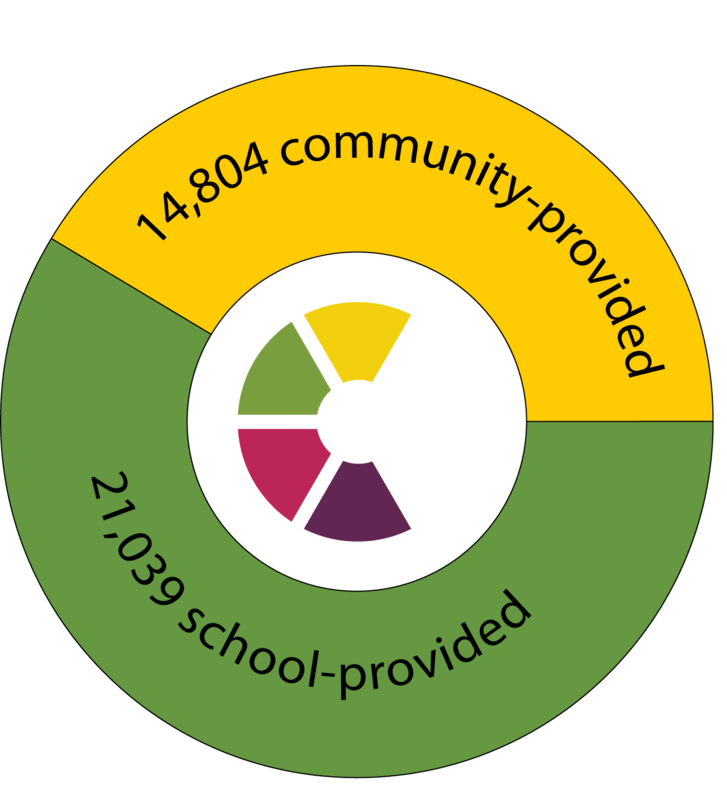 During the 2015-16 school year, students in City Connects’ public schools received 21,039 school-provided health services and 14,804 community-provided health services from 389 community partners. This includes eye exams and hearing screenings. In response to requests from partner schools, City Connects has also designed a health curriculum that’s tailored to the needs of the communities we serve. The curriculum has four modules — nutrition, physical activity, bullying and emotions, and personal health and safety — and it aligns with state and national and standards.